Are You Sure You Want a Lower Turnover Rate? It is not uncommon to hear an HR Professional talk about Turnover and how they have a quarterly or annual goal to reduce the turnover rate in their organization. Does HR really have control over this metric? I have found myself asking questions (silently, but sometimes out loud) that imply that HR truly doesn’t have control over turnover, especially in the short term. What if the economy and labour market heat up and a number of employers are looking for employees – are you realistically going to be able to reduce your turnover rate in an increasingly competitive labour market? Conversely, what if the labour market cools down significantly and nobody is moving around because jobs are scarce. Is it actually your efforts that are driving your turnover decrease? Knowing that front line leadership has a huge impact on employee engagement and retention, do you have the ability and budget to send all of your lousy (and average) leaders to training that will transform them into ideal leaders before your turnover goal becomes due at the end of the year? If all of your worst performers were the ones leaving the organization, would you still want to reduce your turnover rate? Much has been written about the cost of turnover, from quality concerns and short term productivity declines to the hard costs of sourcing, hiring and training a new employee. Although I don’t want to minimize the impact of turnover costs, there are also very real (and perhaps even scarier) costs associated with holding on to people in your organization who aren’t performing or just simply aren’t the right fit. In addition to being a cost drag directly, non-performing employees have a tendency to pull down the performance of others on the team, if not addressed. What is the cost of these un-committed employees? It’s impossible to measure, but deadweight is always expensive. Who is leaving the organization? What are the trends? 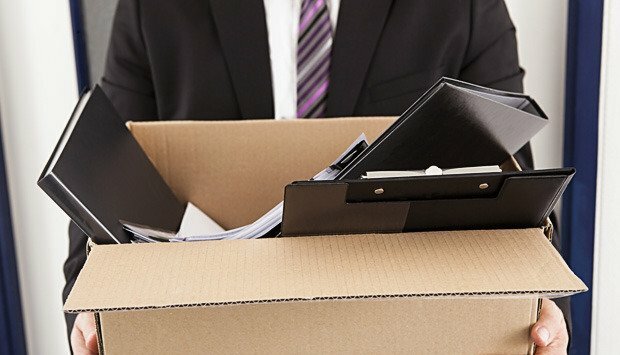 Why are employees leaving the organization? Are your strong performers and superstars leaving the organization? If yes, why? Are your weaker performers self-selecting out or are they staying? Why? ***How do we focus on engaging and retaining our top performers, knowing that we may lose some of our average or below average team members? HR absolutely should have some influence in guiding the culture of the organization and should always be coaching people leaders to be more effective in leading their teams. Over time, these efforts should have a correlative link to a lower turnover rate. However, especially in the short term, HR control over your organization’s turnover rate is an illusion. In addition to the illusion of control, reducing the turnover rate may not actually be healthy (depending on who is leaving)! Play to your strengths! If your strong performers are staying and below average employees are leaving, your turnover rate (even a higher turnover rate) might be healthy and beneficial to the organization. Sometimes, especially when an organization might seem stagnant or stale, you may actually want to increase the turnover rate. All employees have value and it is never a good idea to let leadership off the hook from engaging their team members in positive ways. That said, sometimes it is just time for an employee to move on. Brad is the President of Acuity HR. For more information on Brad or Acuity HR Solutions visit acuityhr.ca.